Considered to be one of the top cue case manufacturers in the billiards industry, Instroke cases feature high quality leather craftsmanship, extra large pockets, Italian latches and high-impact tubes. Instroke cases also offer the ability to load cues in either direction. 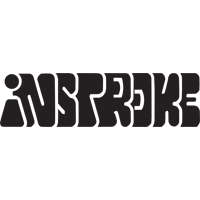 If you're looking for a case to provide maximum style and protection, Instroke is the brand for you. All Instroke cases include a 1 year manufacturer's warranty against defects. PoolDawg is an Authorized Dealer for Instroke pool cue cases.